Stachybotrys is sometimes call “toxic mold” because it produces mycotoxins that cause sever health problems to those who have been exposed to it. Stachybotrys exposure symptoms include difficulty breathing, sinusitis, fatigue and even depression. 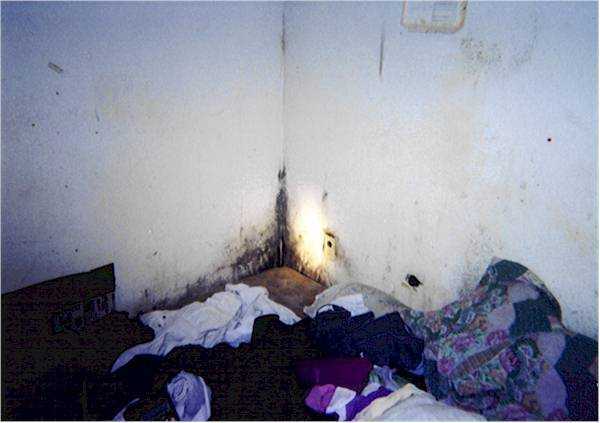 Dull aches and pains in the mucous membranes of the sinuses is common among sufferers of black mold exposure. If you’ve been exposed to stachybotrys you many also experience burning sensations in your airways, a tightening in your chest, persistent cough, nose bleeds,airways, a tightening in the chest, persistent cough, nose bleeds, fever and painful headaches. Stachybotrys is linked to neurological problems in children and pulmonary bleeding in infants. If you have black mold in a home with children, it is important to remove children from the home and prevent their exposure. 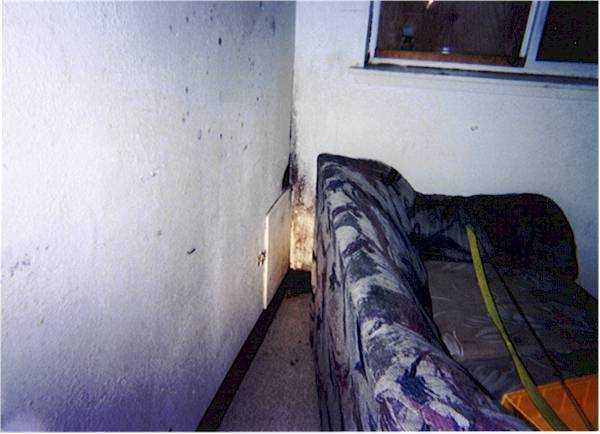 Contact a mold remediation professional immediately to help restore your home back to safety. Stachybotrys is a greenish black mold that grows on material with a high cellulose content or such as hay, straw, wicker, and wood chips, as well as building materials such as ceiling tile, drywall, paper vapor barriers, wallpaper, insulation backing, cardboard boxes, paper files, fiberboard, the paper covering of gypsum wallboard, particleboard, jute, dust, and wood when these items become water damaged. 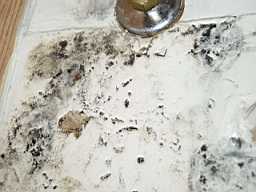 This mold requires very wet or high humid conditions for days or weeks in order to grow. 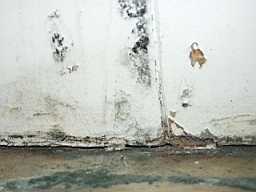 Excessive indoor humidity resulting in water vapor condensation on walls, plumbing leaks, spills from showering or bathing, water leaking through foundations or roofs may lead to growth of many types of mold, including stachybotrys. Individuals with chronic exposure to toxins produced by this fungus reported cold and flu symptoms, memory loss, muscle aches, sore throats, diarrhea, headaches, fatigue, dermatitis, intermittent local hair loss, cancer, and generalized malaise. The toxins produced by this fungus will suppress and could destroy the immune system affecting the lymphoid tissue and the bone marrow. Animals injected with the toxin from this fungus exhibited the following symptoms: necrosis and hemorrhage within the brain, thymus, spleen, intestine, lung, heart, lymph node, liver, and kidney. Affects by absorption of the toxin in the human lung are known as pneumomycosis. The toxins may also suppress the immune system. In the January 17 issue of the MMWR, stachybotrys was implicated in a cluster of fatal pulmonary hemorrhage/hemosiderosis among infants. In the past several years, case-control studies of occupational exposure to stachybotrys in water-damaged building environments have generated much controversy. In one of these investigations, significant differences in self-reported symptoms (chronic fatigue, dermatologic, constitutional, and lower respiratory tract) between cases (n=51) and controls (n=21) were attributed to exposure to stachybotrys and other “atypical fungi.” The study design did not include an evaluation for water damage or the presence of these fungi in the work or living environments of control subjects. Speculation that exposure to stachybotrys produced immune dysfunction in cases was based on observations that cases had a lower proportion of mature T-lymphocyte (CD3) cells than controls (74% vs 76%, respectively), a finding that was statistically significant. The clinical significance of this finding remains difficult to interpret, and could have been affected by laboratory as well as individual daily variation. More important, this observation was the only one of over 20 hematologic and immunologic comparisons made between cases and controls that was found to be statistically significant, an observation that could be explained by chance. In another case-control study, which concluded that exposure to stachybotrys and other toxigenic fungi was responsible for various pulmonary diseases (including asthma, interstitial lung disease, and “emphysematous-like” disease) among office workers in a water-damaged building, no reliable biomarkers of exposure to stachybotrys or radiographic findings correlating with the self-reported pulmonary symptoms were present. Toxicologically, stachybotrys can produce extremely potent trichothecene poisons, as evidenced by one-time lethal doses in mice (LD50) as low as 1.0 to 7.0 mg/kg, depending on the toxin and the exposure route. Depression of immune response, and hemorrhage in target organs are characteristic for animals exposed experimentally and in field exposures (Ueno, 1980; Jakab et al., 1994). Stachybotrys is a member of the Deuteromycetes, order Moniliales, family Dematiaceae, and is common on plant debris and in soil. Mycotoxins and other biologically active compounds produced by stachybotrys are the reason why this fungus is of such great concern to human health. Stachybotrys chartarum is one of many molds that are capable of producing one or more mycotoxins (chemicals produced by molds that may be able to cause symptoms or illness and death in people). Mycotoxin poisoning by this fungus is referred to as stachybotryotoxicosis. Stachybotrys chartarum produces the following types of macrocyclic tricothecenes: verrucarin J, roridin E, satratoxin F, G & H, sporidesmin G, trichoverrols; cyclosporins, stachybotryolactone, trichoverrols, and trichoverrins. Macrocyclic trichothecenes are highly toxic compounds. The severity of mycotoxicosis was related to the duration of consumption of toxic grain. Such severe trichothecene mycotoxicoses, the consequence of continuous ingestion of toxins, have not been recorded since earlier outbreaks. In several cases, trichothecene mycotoxicosis was caused by a single ingestion of bread containing toxic flour or rice. In experimental animals, trichothecenes are 40 times more toxic when inhaled than when given orally. The satratoxins are generally produced in greater amounts than the other trichothecenes, but all compounds are produced in low quantities. They occur in all parts of the fungus. One isolate was reported to contain about 15 ppm trichothecene in the conidia. The difficulty in obtaining, identifying and purifying these toxins has slowed extensive studies on their biological activity. In addition, the fungus produces 9-phenylspirodrimanes (spirolactones and spirolactams) and cyclosporin which are potent immunosuppressive agents. Jarvis et al. (1995) suggested that the combination of trichothecenes and these immunosuppressive agents may be responsible for the observed high toxicity of this fungus. Animal experiments in which rats and mice were exposed intranasally and intratracheally to toxic strains of S. chartarum, demonstrated acute pulmonary hemorrhage (Nikkulin et al. 1996). A number of case studies have been more recently published. One involving an infant with pulmonary hemorrhage in Kansas, reported significantly elevated spore counts of Aspergillus and Penicillium in the patient’s bedroom and in the attic of the home. Stachybotrys spores were also found in the air of the bedroom, and the source of the spores tested highly toxigenic (Flappan et al., 1999). In another case study in Houston, stachybotrys was isolated from bronchopulmonary lavage fluid of a child with pulmonary hemorrhage. (Elidemir et al., 1999), as well as recovered from his water damaged-home. The patient recovered upon removal and stayed well after return to a cleaned home. Another case study reported pulmonary hemorrhage in an infant during induction of general anesthesia. The infant was found to have been exposed to stachybotrys prior to the anesthetic procedure (Tripi et al., 2000). Still another case describes pulmonary hemorrhage in an infant whose home contained toxigenic species of Penicillium and Trichoderma (a mold producing trichothecene poisons similar to the ones produced by S. chartarum) as well as tobacco smoke (Novotny and Dixit, 2000). Finding stachybotrys within a building does not necessarily mean that occupants have been exposed either to allergens (pieces of the fungus or spores that can cause allergic symptoms in people prone to allergies) or toxins produced by this fungus. Laboratory studies indicate that molds such as stachybotrys that have the ability to produce toxins do not always do so. Whether a mold produces a toxin while growing in a building may depend on what the mold is growing on, conditions such as temperature, food, pH, humidity or other unknown factors. When mycotoxins are present, they occur on spores and the small mold fragments that may be released into the air. Much of what is currently known about exposure to mycotoxins has emerged from veterinary science. The toxic effects from mycotoxins produced by stachybotrys chartarum were first reported in the 1920s in Russia, when researchers reported severe morbidity and mortality in cattle and horses that ingested hay contaminated with this mold. Clinical observations included severe skin and mucous membrane inflammation, bleeding disorders, diarrhea, and upper and lower respiratory tract disorders. Of particular concern is the threat that humans will inhale and ingest these toxic spores. One vague example are Yellow Rain attacks in Southeast Asia during the 1970s that were associated with the use of aerosolized trichothecenes. The toxins are often present on the fungal spores. Recent experimental animal studies have reported severe intra-alveolar, bronchiolar, and interstitial inflammation in mice that were exposed via an intranasal route with trichothecenes. In contrast to toxicity from direct inhalation of stachybotrys spores, simulated environmental conditions with extensive surface growth of toxigenic stachybotrys and high air flow have not produced significant pulmonary toxicity in exposed mice. This observation may be related to the physical properties of stachybotrys; it produces spores in a slimy mass that are unlikely to become airborne without dry conditions. In addition, the production of mycotoxin by stachybotrys is dependent upon the environmental conditions of its growth. On some building materials and growth substrates, stachybotrys has not demonstrated biologic toxicity or mycotoxin production. In laboratory animals, acute exposure to large amounts of trichothecene toxins resulting in a rapid release of stored white blood cells into circulation, while repeated or chronic exposure destroys granulocytic precursor cells in bone marrow leading to white cell depletion. Among the reported cellular effects are: mitogen B/T lymphocyte blastogenesis suppression, decrease of IgM, IgG, IgA; impaired macrophage activity and migration-chemotaxis; broad immunosuppressive effects on the cellular and humoral-mediated immune response leading to secondary infections; immunomodulation leading to spontaneous antibody increase and immunosuppressive effects in human peripheral blood lymphocytes. It is important to remember that many other common indoor molds can look similar to stachybotrys (including cladosporium, aspergillus, alternaria, and drechslera), so testing is critical to conclusively identify stachybotrys in a building. Stachybotrys mold needs the proper conditions in order to grow, including moisture, a nutrient source, temperature, and time. However, once the stachybotrys begins to grow it can continue to propagate even if the surface water source dries up. The nutrient sources that best support stachybotrys are those with a high cellulose content. Stachybotrys survives a wide variation in temperature and grows most proficiently in temperatures that humans consider warm to moderately hot. It tends to develop more slowly than many other molds-one to two weeks after moisture intrusion as compared to one to two days for molds like aspergillus, penicillium, or cladosporium. Despite its slow start, stachybotrys usually develops into the dominant mold if the conditions are favorable, eventually crowding out other mold types that may have colonized the material first. Like many other molds, stachybotrys can spread both through the generation of spores and the growth of root-like structures called mycelia. Stachybotrys spores grow in clusters at the end of stem-like structures known as hyphae. The spores do not easily disperse into the air if the colonized material is wet, as the spores are held together by a sticky/slimy coating. 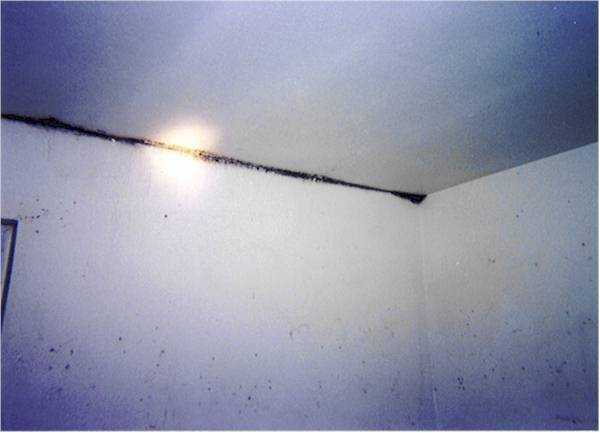 Distribution through the air is possible when the mold dries out or is disturbed. Because of this danger of the airborne dispersion of spores, all cleaning and removal of stachybotrys mold should be done using appropriate controls. Stachybotrys has a high moisture requirement, so it grows vigorously where moisture has accumulated from roof or wall leaks, or chronically wet areas from plumbing leaks. It is often hidden within the building envelope. When S. chartarum is found in an air sample, it should be searched out in walls or other hidden spaces, where it is likely to be growing in abundance. S. chartarum has a well-known history in Russia and the Ukraine, where it has killed thousands of horses, which seem to be especially susceptible to its toxins. 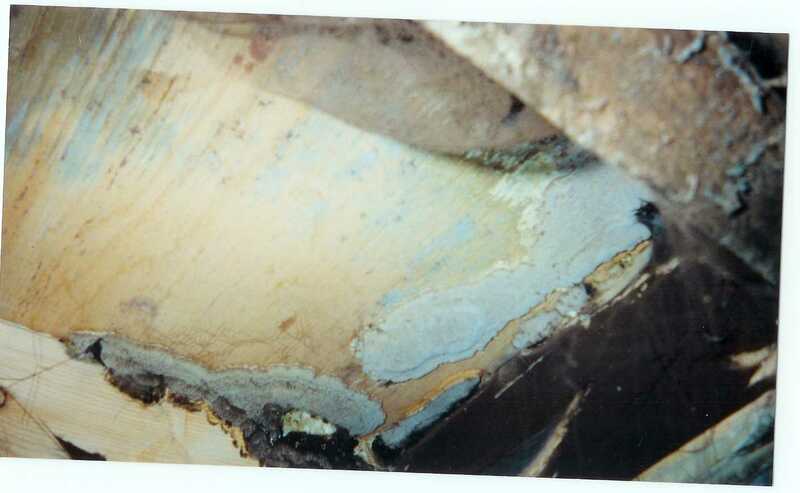 Persons handling material heavily contaminated with this mold describe symptoms of cough, rhinitis, burning sensations of the mouth and nasal passages and cutaneous irritation at the point of contact, especially in areas of heavy perspiration, such as the armpits or the scrotum (Andrassy et al., 1979). One case study of toxicosis associated with macrocyclic trichothecenes produced by S. chartarum in an indoor exposure, has been published (Croft et al., 1986), and has proven seminal in further investigations for toxic effects from molds found indoors. In this exposure of a family in a home with water damage from a leaky roof, complaints included (variably among family members and a maid) headaches, sore throats, hair loss, flu symptoms, diarrhea, fatigue, dermatitis, general malaise, psychological depression. (Croft et al, 1986; Jarvis, 1995). This is a slow-growing fungus on media. It does not compete well with other rapidly growing fungi. The dark-colored fungi grows on building material with a high cellulose content and a low nitrogen content. Areas with relative humidity above 55% and are subject to temperature fluctuations are ideal for toxin production. Appropriate media for the growth of this organism will have a high cellulose content and a low nitrogen content. With current construction materials, this could be almost anything in a new building. 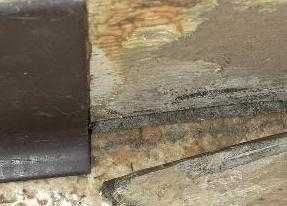 It is usually difficult to see in indoor samples unless it is on the outside of a wall or physically disturbed. The spores are in a gelatinous mass. The spores die readily after release. Dead spores can be quite dangerous, as they often set off mycotoxins. As stachybotrys produces these toxigenic spores that are potentially dangerous to humans, they can enter an air-conveyance system and damage the lungs and create trauma to the small passage airways. The dead spores are still allergenic and especially toxigenic. If one tries to disturb these masses, they set off many mycotoxins which can be even more toxic. Percutaneous absorption has caused mild symptoms. The EPA nor the CDC have purposefully set any regulations or guidelines for determining the health risks associated with stachybotrys atra. Collected mold cultures of stachybotrys atra can be tricky due to the existence of other types of fungi in the same area. Removing cultures of stachybotrys atra must be undertaken with great care to contain the spread of dangerous spores. In 1837 stachybotrys was first described by Corda from wallpaper collected in a home in Prague. In the 1920’s toxic effects of stachybotrys was reported in Russia. In the 1940’s, there were initial reports of stachybotryotoxicosis in humans reported in Russia. Finally, in 1986 Atmospheric Environment – W.A. Croft – Airborne Outbreak of Trichothecene Toxicosis. Potential problem with stachybotrys chartarum. Family in Chicago home with complaints of medical problems, traced to stachybotrys and trichothecene toxicosis. Accumulation of data over past 60 years tells us that we should not handle materials contaminated with stachybotrys. Commonly found in homes with water damage. Can grow behind walls undiscovered, and cultivate profusely on sheetrock. As mentioned, stachybotrys has been linked by the Center for Disease Control to 10 cases of lung disorder in infants and 100 other cases. In 1993, there were a number of cases of acute pulmonary hemorrhage in nearly 30 infants after homes were flooded. The CDC will not acknowledge the specific cause of these deaths. However, they eventually concluded that significant exposure to stachybotrys, in addition to other hydrophilic molds, played a significant role in the development of this severe and fatal lung disease. Health problems associated with Stachybotrys chartarum were first noted in Russian and Eastern European farm animals that ate moldy hay in the 1930’s and 1940’s. In the Ukraine and other parts of eastern Europe during the 1930’s, there were unusual outbreaks of a new disease in animals that was characterized by symptoms such as shock, dermal necrosis, leukopenia, hemorrhage, nervous disorders and death. Horses eating heavily stachybotrys contaminated fodder experienced immune system suppression, infection and bleeding that was fatal with high doses. In 1938, Russian scientists determined the disease was associated with stachybotrys (then known as S. alternans) growing on the straw and grain fed to the animals. Intensive studies were then conducted resulting in the first demonstrated toxicity of stachybotrys in animals. Horses were actually fed cultures of the fungus. The contents of one petri plate resulted in sickness and the contents of 30 petri plates resulted in death. As horses seem to be especially susceptible to these toxins; 1 mg of pure toxin is reported to cause death. The Russians coined the term stachybotryotoxicosis for this new disease. Since then, stachybotryotoxicosis has been reported on numerous farm animals from various parts of the world, especially in eastern Europe, but is apparently rare (if even reported) in North America. The first reported human health effects were seen in agricultural workers who handled the moldy straw or hay. In the early 1940’s reports of stachybotryotoxicosis in humans appeared in Russia. People affected where those who handled or were in close contact with hay or feed grain infested with stachybotrys. Some of these individuals had burned the straw or slept on straw-filled mattresses. Common symptoms in humans were dermatitis, pain and inflammation of the mucous membranes of the mouth and throat, a burning sensation of the nasal passages, tightness of the chest, cough, bloody rhinitis, fever, headache and fatigue. Some members (possibly volunteers) of the teams investigating this disease rubbed samples of the fungus onto their skin to determine its direct toxicity. The fungus induced local and systemic toxic symptoms similar to those observed in naturally occurring cases. Individuals who ate grain from the contaminated hay experienced symptoms such as burning sensations in the mouth, nausea, vomiting, diarrhea and abdominal pain. These high level exposures were associated with coughing, runny nose, burning sensations in the mouth or nose, nose bleeds, headache, fatigue and skin irritation (rashes and itching) at the site of moldy hay contact. This seems to be a re-occurring problem today with toxigenic molds and agriculture; especially corn, coffee, soy, and grains. Between the 1950’s and the 1980’s there were continued publications on stachybotryotoxicosis but few that indicated a potential problem with stachybotrys in homes and buildings. In 1986, Croft et al. reported an outbreak of trichothecene toxicosis in a Chicago home. Over a 5-year period, the family complained of headaches, sore throats, flu-like symptoms, recurring colds, diarrhea, fatigue, dermatitis and general malaise. Air sampling of this home revealed spores of stachybotrys. 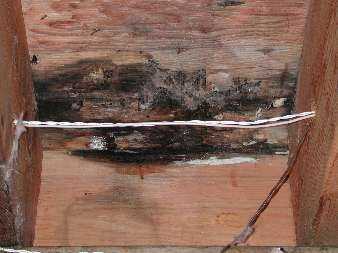 The fungus was found growing on moist organic debris in an uninsulated cold air duct and on some wood fiber ceiling material. The home had a chronic moisture problem that favored mold growth. Extracts from the duct debris and contaminated building materials were toxic to test animals and several macrocyclic trichothecenes were identified in the extracts. When the mold problem was corrected, these symptoms associated with trichothecene toxicosis disappeared. Since the collapse of the Twin Towers, many surrounding buildings have been discovered in NYC contaminated with “heavy amounts of stachybotrys.” Most of these buildings were old and water damaged. With more public awareness, there will be more and more reports of stachybotrys appearances. What many news stories have down played, however, is the fact that there were high amounts of asbestos residue intermingled with the building debris, thus making the aftermath much more toxic than what may have been expected. Any aerosol tests that may have been performed would have picked up several types of evidence of sick-building syndrome. A small portion of that would have been, at best, stachybotrys of the ruined muddle of destruction, but it is important to remember everything has been quite stirred up due to unnatural occurrences to Ground Zero. There has been more documentation that stachybotrys occurs more frequently in animals than in humans, but more articles are backing up testimony that it is almost equivocal. However, if spores are released into the air, humans certainly can come into contact with them and develop symptoms that include coughing, wheezing, runny nose, irritation to the eyes or throat, skin rash, and diarrhea. Many of these symptoms are commonly and often mistakenly associated with allergies. In fact, some theories hold that the symptoms are an allergic reaction to the mold or from toxic byproducts from the mold. There also seems to be an association between contact with trichothecenes and a variety of autoimmune human diseases. The most important consideration to keep in mind is that mold needs a moist, wet, or damp environment in order to thrive. By maintaining a clean, dry home or workplace, dangerous mold species cannot begin to grow. Sources in and around homes that can create a dangerous environment include leaky or broken pipes, windows or older doors that lack good seals, roofs that leak, and any cracks or holes in the building. If flooding has occurred, it is extremely important to make sure that the water is thoroughly dried up to avoid festering water or dampness within 24 to 48 hours. Cosmetic ventures will do absolutely nothing but cover up the dilemma and complicate problems with liability and health issues later. Good preventive maintenance can reduce the risk of a problem with molds growing inside the home and other buildings. 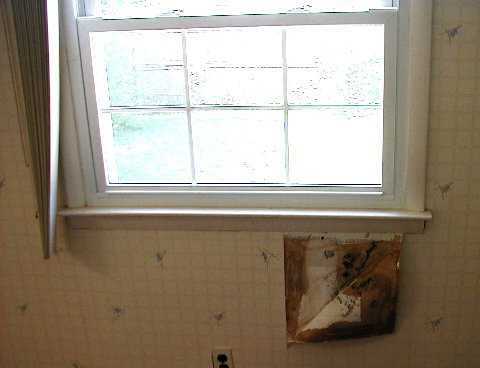 Homes and buildings with water damage should be repaired and all moldy material should be removed. Avoiding or diminishing other contributors of humidity may help. 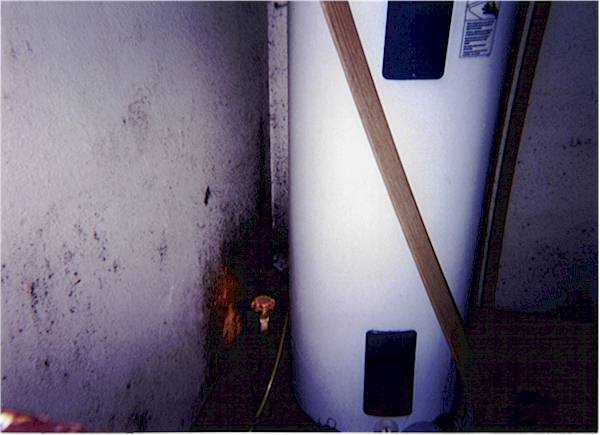 Some causes and contributors of high humidity may include leaking pipes, water damaged dry walls and ceiling tile (due to leaking pipes, leaking roof or flooding), faulty or obstructed dryer vent connections, use of steaming hot water in washing machines, many showers, faulty or obstructed bathroom/kitchen ventilation fans, boiling water for long periods of time, canning or pressure cooking, hand washing and rack drying knit and delicate laundry, use of humidifiers and excessive sealing of the home so that there is inadequate air exchange. 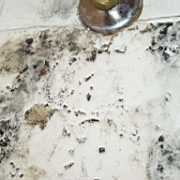 Some molds can be killed by cleaning the moldy surface with chlorine, (few) however, stachybotrys often has a germ mycelium that is buried inside the water damaged surface that is often inaccessible to chlorine. In fact, bleach often does not kill Stachybotrys entirely when directly applied to it. Changing the humidity may lead to limited death of the stachybotrys colony. However, changing the humidity may also induce heavy sporulation. Burning the building that has undergone stachybotrys contamination has been an idea of many people but some experts state that not even a fire of 500 degrees could destroy the spores of this deadly enemy. If anything, it could spread it and worsen the condition. The ground around these buildings can also become heavily contaminated with stachybotrys from a sick building. It is recommended that the ground (dirt) be removed at least one meter prior to rebuilding any new foundation. To avoid such problems before a potential catastrophe, all buildings should undergo scheduled maintenance that includes inspection for water leaks, problem seals around windows and doors, as well as checks for visible mold in moist or damp parts of the building. There are air sample, tape, swab, and DNA tests that can be done on any premises to determine if stachybotrys is present, the three latter being the easier to detect. Because stachybotrys doesn’t spore the same way other toxigenic molds do, it does not show up in a standard blood antibody test very often, therefore, serum tests are not very accurate. There are some other tests to determine stachybotrys exposure. Once a building has been contaminated with stachybotrys, some experts agree that there is no way to remediate it. Even fire is not hot enough to destroy this mold. Additionally, if even one spore is found in an air sample, it is the equivalent of finding thousands, as it is very hard to find stachybotrys airborne; and it means that this fungus has started to colonize in very high numbers, and as one might say; a lost cause. Unlike any data you may have read, stachybotrys is becoming increasingly more and more common in homes and buildings within the United States and Canada that are not only water damaged, but are in a situation affected by high humidity. Despite fundamental epidemiologic questions that remain unanswered regarding stachybotrys, the past several years have seen a remarkable public health response to this issue. The detection of stachybotrys in the indoor environment has led to the closure of office buildings and schools, and has prompted highly publicized class-action litigation against building owners. An industry of industrial hygienists specializing in the assessment and remediation of indoor molds has emerged, and their services are recommended by expert panels. Prudent public health practice then indicates removal from exposure through clean up or remediation, and public education about the potential for harm. Stachybotrys should be treated as though they are toxin producing if in abundant quantities. It is not always cost effective to measure toxicity, so cautious practice regards the potential for toxicity as serious, aside from other health effects associated with excessive exposure to molds and their products. It is unwise to wait to take action until toxicity is determined after laboratory culture, especially since molds that are toxic in their normal environment may lose their toxicity in laboratory monoculture over time (Jarvis, 1995) be identified as toxic. 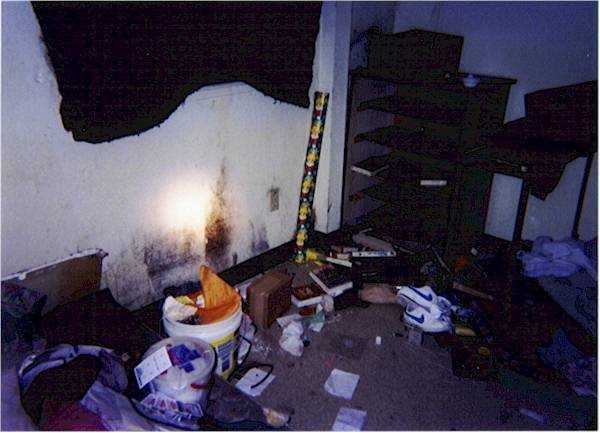 While testing for toxins is useful for establishing etiology of disease, and therefore may not and adds to knowledge about mold toxicity in the indoor environment, prudent public health practice might advise speedy clean-up, or removal of a heavily exposed populations from exposure as a first resort. Bhat RV, Beedu SR, Ramakrishna Y, Munshi KL. Outbreak of trichothecene mycotoxicosis associated with consumption of mould-damaged wheat products in Kashmir Valley, India. Lancet. 1989;1:35-37. Etzel RA, Montana E, Sorenson WG, Kullman GJ, Allan M, Dearborn DG. Acute pulmonary hemorrhage in infants associated with exposure to Stachybotrys atra and other fungi. Arch Pediatr Adolesc Med. 1998;152:757-762. Jarvis BB, Salemme J, Morais A., 1995 Stachybotrys toxins 1 Nat Toxins 3:10. Jesenska Z, Pieckova E, Bernat D., 1992 Heat-resistant fungi in the soil Int J Food Microbiol 16:209-214. Kibsey, P., Case Presentation: Stachybotrys Chartarum – A Mold Found in Water Damaged Buildings, Capital Health Region, Victoria, B.C. Kuhn, D. M., Ghannoum, M. A. (2003). Indoor Mold, Toxigenic Fungi, and Stachybotrys chartarum: Infectious Disease Perspective. Clin. Microbiol. Rev. 16: 144-172. MMWR 1997. Update: pulmonary hemorrhage/hemosiderosis among infants-Cleveland, Ohio 1993-1996. 46:33-35. Suarez L, Hendricks KA, Cooper SP, et al. Neural tube defects among Mexican Americans living on the US-Mexico border. Am J Epidemiol. 2000;152:1017-1023.